This article is meant to assist you with Case Referral concerns. 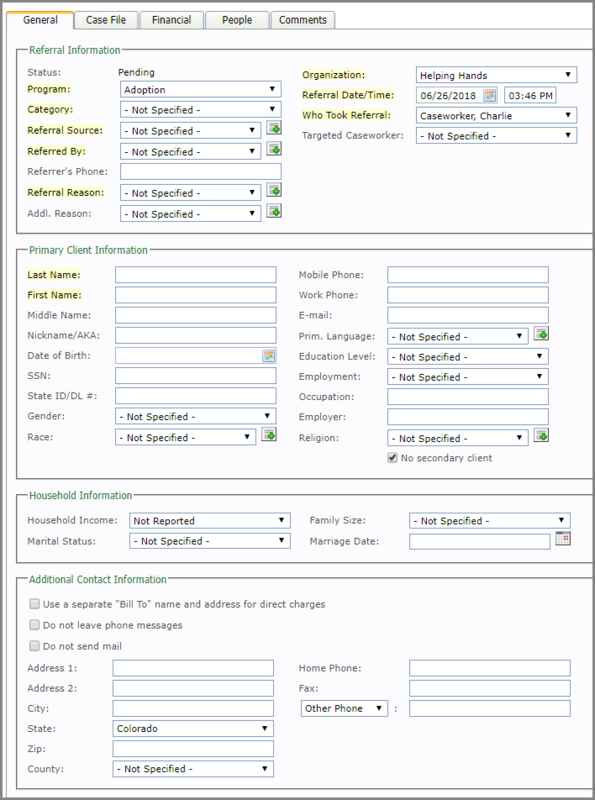 Fields in the Referral Information section can be hidden/activated by going to System Settings -> System Configuration. 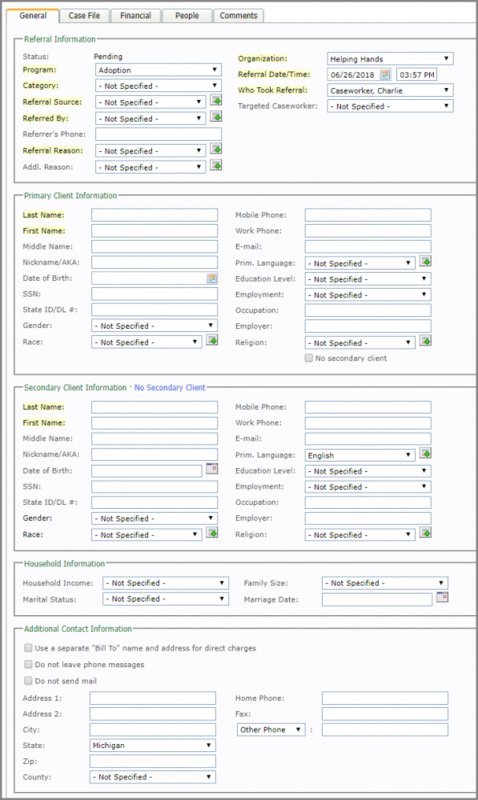 Your agency has the option of tracking referred cases that you accept, reject, or keep in a pending status. These referrals may arrive via phone, email, fax or electronical transmittal through extendedReach. To add a new referral, choose “Referral” from the “Add Case” menu. If this is not an option then you must contact your agency administrator to turn on the “Track Pending and Rejected Referrals” option in “Organization Preferences”. After you have entered your client as a referral, you can chose to accept or deny the referral by clicking on the tabs at the top of the page. You can then change the status by clicking on pending, deny, or accept. The “standard list” of denial reasons is controlled in your Program Settings. Denial reasons could be different depending on the program. If you deny a referral and type a new value not in the standard list (by clicking the “green plus” icon), that denial reason will remain in the drop-down for 6 months since its last usage. To remove non-standard reasons from the drop-down, change the non-standard reasons of denied referrals over the past 6 months to a reason from the standard list. If you determine you are able to take on a client, you will then open a case by clicking on Open Case tab at the top of the screen.